I have built a couple of rifles with this calibre now. 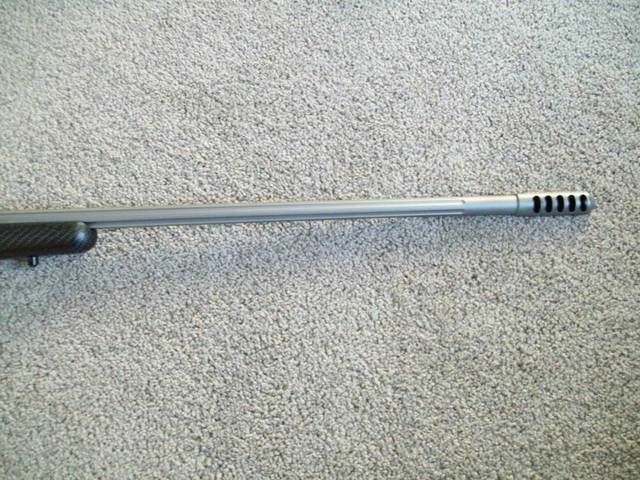 I have two reamers one for short throat T3 Tikkas, 162 at mag length, & one for Rem 700. 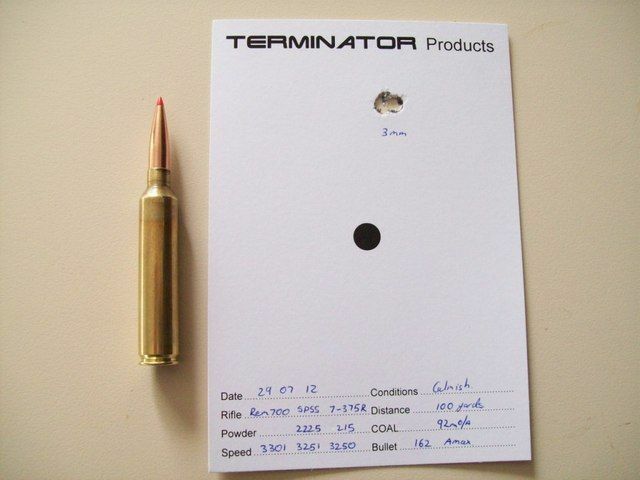 It can be made by reaming out a 7mmRem Mag. Both of the rifles I have built were done this way. Recoil is basically non-existent with my T2 Terminator muzzle brake. This one is the 700 one it weighs 2.915 Kgs. 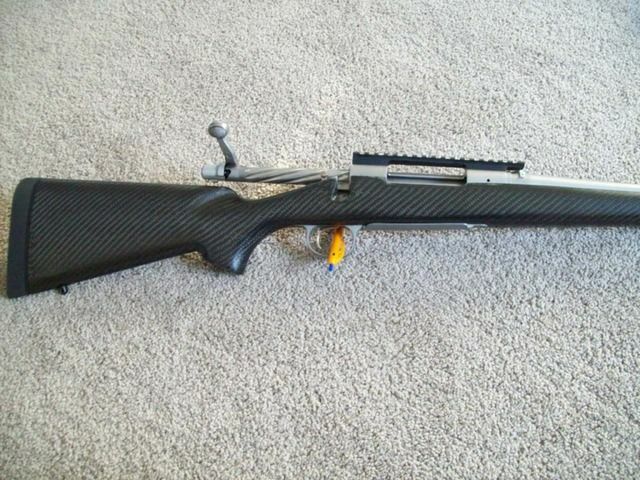 It is basically the same size as a 7mm Rem mag but doesn't have the belt & has less taper. 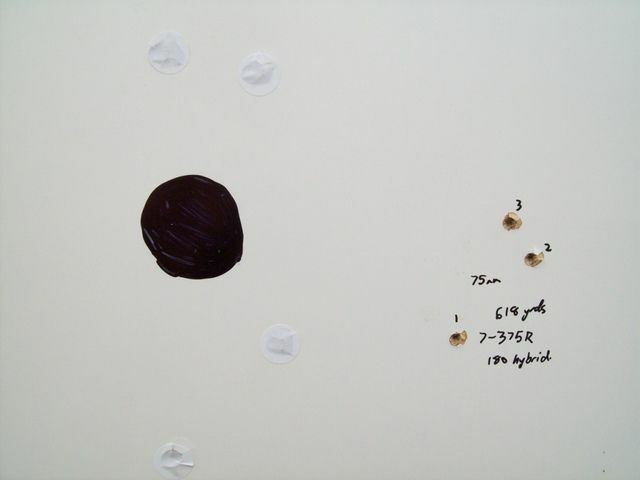 It's performance is very similar to the big 7mm STW, so falls between the 7mm Rem mag & the 7mm RUM. 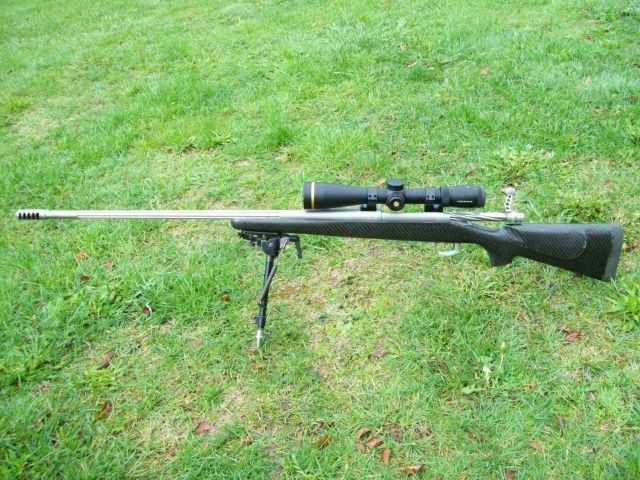 This one with its 25.5" barrel pushes the 162 A-max around 3250fps & 180 Hybrid around 3150fps. 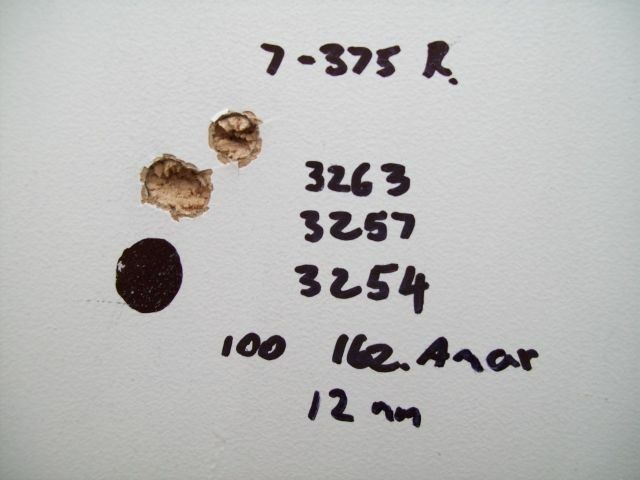 Very impressive performance for an easy mag feed 7mm round. 199p, LegaSea, Toby and 1 others like this. 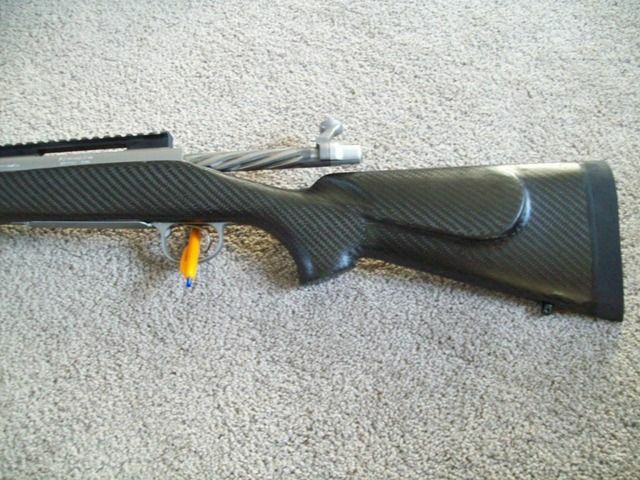 The price for this rifle is $3480 Inc gst. This includes fluted bolt & barrel, alloy rail, lightened trigger, alloy bolt shroud & lightweight firing pin, T2 Terminator Muzzle brake, Stug stock, load development, 100 Hornady brass & all freight. Last edited by Kiwi Greg; 25-02-2013 at 08:12 PM. 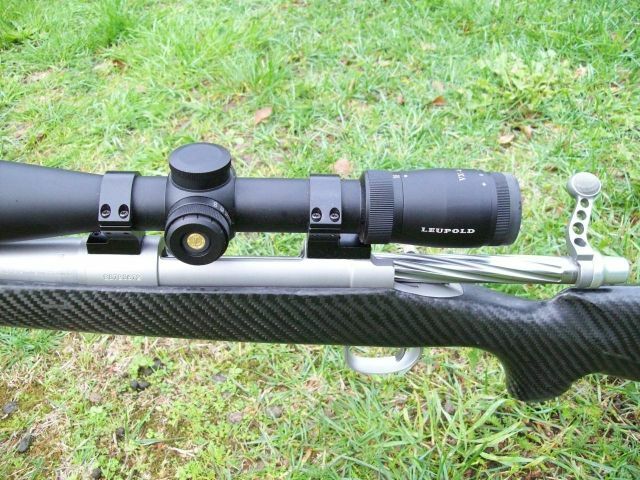 Does the Mcmillan carbon stock look more tactical? The Hunters Edge looks the same & is the same weight. The A3 & A5 are heavier & suit more of an LR rig. They look better. Do you sell them with scopes? Impressive groups Greg rig looks tidy aswell. 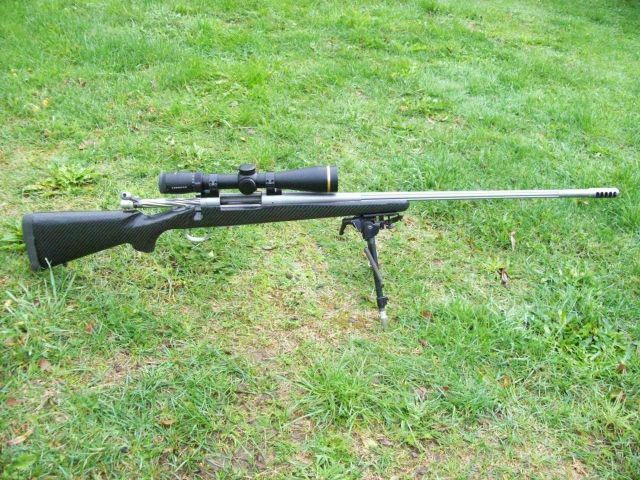 Here is another 7mm-375 built on a 7mm Rem mag Remington SPSS. It weighs 7.6lbs with the VX6 3-18x44 in Talley rings. It has a T2 brake, Stug stock, fluted bolt & barrel, lightweight firing pin, bolt shroud, mag box, bolt release, bolt handle & receiver. 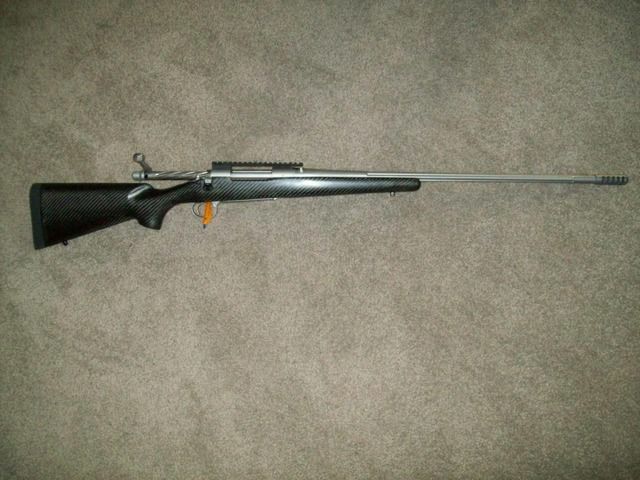 It shoots the 162 amax at 3250fps sub 1/2 moa. Spanners, 199p, Toby and 1 others like this. 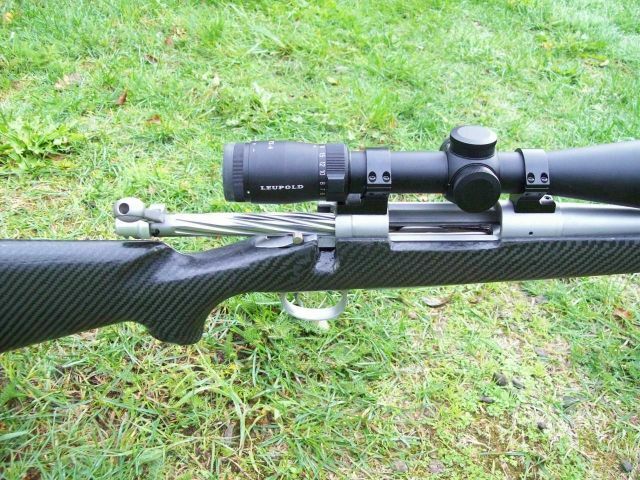 You mention a tikka 695. is the mag long enough for this 7-375? 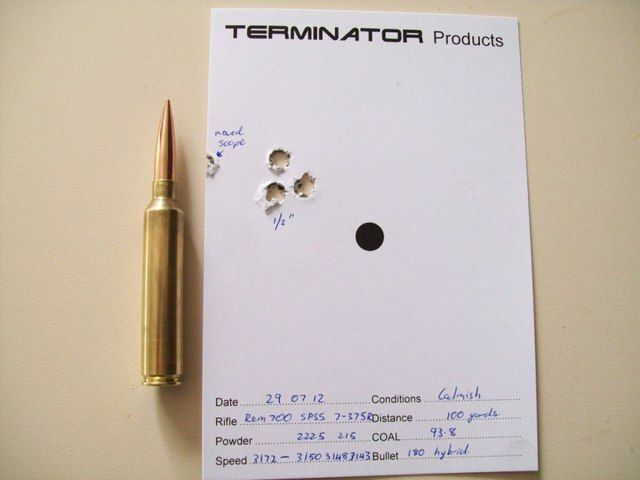 I have a 695 in 7mm rem mag that I was going to re-barrel to the same calibre, but after seeing this im having second thoughts. How do you go about necking down the brass? I have two reamers, a long throat for Rem 700s & a short throat for Tikka T3s, the 695 is between the two of them so just get it throated to suit. I have dies that make it pretty simple to neck the brass down from .375 to 7mm, then it gets a light neck turn to clean it up. 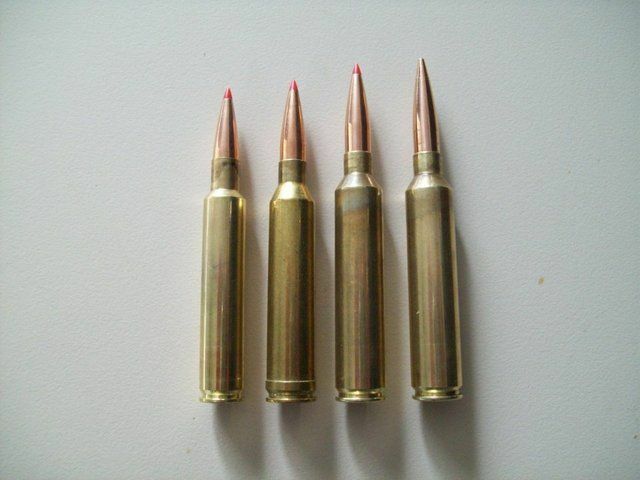 I can supply the brass ready to fire no problem. It only has to be formed once. It generally is about 200fps up on a Rem mag so a pretty reasonable performance increase.